It’s the end of the summer. So it’s time for our end of summer hack day. 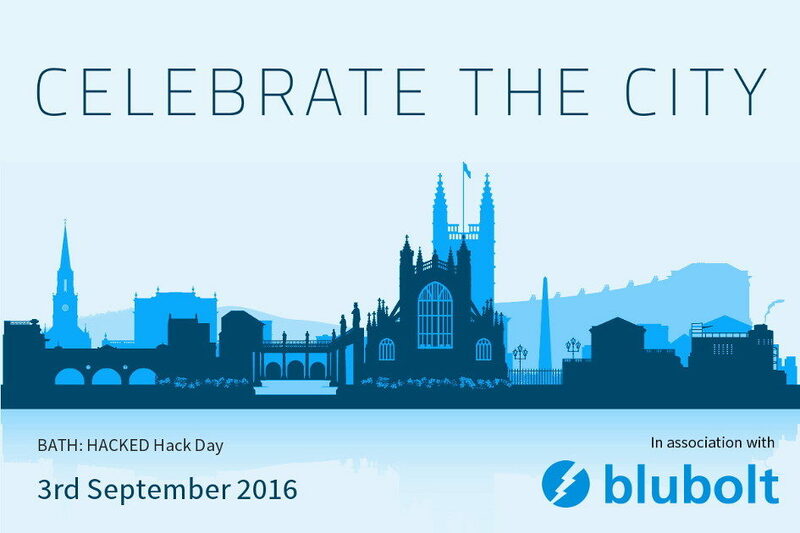 The perfect time to celebrate what makes Bath such a great place to live, study, work and visit. Help us highlight the things that make us all proud of Bath – the people, the culture and the innovation that makes it such a special place. We want to bring together local organisations, residents and the digital and creative sectors to recognise Bath’s unique character. So join us for a fun day of hacking. Equipment: Laptops only please. No PCs or displays. Networking: Wi-Fi will be available. Wired networking will not be available. The event is open to anyone, although numbers will be limited. Our events are informal, social, lively occasions that bring together people from all walks of life and from all around the South West, to share skills, creativity and ideas. We’re looking for developers, designers and artists interested in using their skills to show off how great The City Of Bath is. Are you particularly proud of some aspect of our city? We’d also love for you to come along & team up with some of our hackers to shout about it. You won’t need any technical skills – just something to celebrate. You can sign up for this event on our Meetup page. We want this hack day to be fun. We want you to collaborate and share your sense of what you love about Bath. We want you to show off. So we don’t have any particular goals. You don’t have to use open data (although we have plenty if you want to). You don’t have to use maps (although we have plenty of those too). Use whatever you need to get your message across. You can hack using whatever medium you feel comfortable with – websites & apps through to infographics & visualisations. Prizes will be awarded for the most celebratory projects. The following is a rough schedule for the day. First time at a hack? Don’t worry if you’ve never hacked before. Our events are very sociable & we can help point you in the right direction. We’ll be running a brief introduction & team formation session, where you can team up with like-minded people. During hacking, feel free to ask questions & collaborate; sharing is the best way to achieve good results. There are prizes but this event is meant to be more fun & less competitive. Do try to come with a few ideas and some thoughts on how you might hack on them. You’ll probably find that there is someone with a similar idea. To be eligible for a prize, all projects will need to give a short (2 – 3 minute) pitch at the end of the day. It might sound nerve-racking but it’s really fun. All of our events are governed by our Code of Conduct. We want our events to be friendly and fun. If you’re not comfortable with anything you experience, let us know & we’ll put it right. This event is being sponsored by blubolt, who are experts in the field of eCommerce and creators of the industry-leading bluCommerce platform. They seriously know their tech & really enjoy being based in Bath. blubolt are providing the location, refreshments, prizes and more. We’d like say a huge thank you to them for being so awesome.